Stephen Green Dental Studio is a leading dental laboratory dedicated to innovation in manufacturing of digital dental appliances. Through continual investment and training, we strive to develop the latest cutting-edge technologies. Digital dentistry offers significant benefits to both dentists and patients and is now routinely used in many areas of dentistry. This technology is easily integrated into practices' current systems and can significantly improve a practice's workflow and communication with the lab. We now create the vast majority of our work using digital processes and the results speak for themselves. However, we do also offer a full range of products, including dentures, created using traditional methods. Here at Stephen Green Dental Studio, we're passionate about delivering the very best working experience, and seeking to help all the dentists we work with in any way we can. Patient satisfaction is always at the forefront of everything we do. Many practices now benefit from digital impression scanners and to accommodate this we have access to a range of digital communication systems, including DDX digital import of impressions, CEREC® Connect, 3 Shape Communicate and many more. Digital impressions are faster, safer and a more efficient way to exchange and manage restorative work. Scans and designs can be reviewed between lab and clinician before production, minimising remakes and streamlining processes. The primary CADCAM systems that we use are Dentsply Sirona InLab, 3Shape, Exocad, Nobel Procera, Renishaw, VHF milling and Formlabs 2 3D digital printing. All of these systems give us the ability to produce an array of restorative solutions directly milled in the lab. The milled units are of exceptional quality and are hand finished by our skilled technicians to deliver beautifully fitting crowns, bridges and implant units in a range of materials. We use a range of digital design software including Exocad, 3 Shape and Sirona In-lab. These modern tools allow us to predictably and reliably create restorations that offer high levels of accuracy that can be achieved repeatedly. The combination of our skill and artistry and the design tools available within these systems delivers a standard of technical work that is hard to beat, from simple cases to the most complex. We have a vast array of materials at our disposal, from highly aesthetic all-ceramics and composites, including Ivoclar e.max, Vita Triluxe and multilayer aesthetic Zirconia discs, to milled non-precious alloys. "After years of experience in the CAD/CAM world Henry Schein UK is finding the importance of facilitating communication between dental practice and dental laboratory of ongoing importance. In fact huge developments within the CAD/CAM space over these last few years have made this requirement ever more critical. As the digital workflow touches the whole laboratory one of the critical elements is to insure that the whole Laboratory team embraces this change, something that is not always easy to achieve. In Stephen Green Dental Studio, Henry Schein has found a laboratory that has not only fully embraced digital technology in all aspects, but managed to bring the whole team along on this ground breaking innovative journey. The commitment of SGDS is such, that not only is digital technology integrated into every aspect of daily production work, but the whole laboratory is fully versatile on all aspects of this work, from accepting or creating digital files, up to manufacturing complex implant retained work using the latest materials and technologies. What is noticeable at SGDS time and again is how at training or education events and during busy production days the whole team is fully involved. There is nobody in the laboratory that is left out as the philosophy in this laboratory seems to be that every member of the whole team is part of and fully responsible to insure that the overall result is being achieved. Henry Schein would like to commend Stephen Green Dental Studio for their ongoing innovative approach and Implementation of digital solutions into production work, and also for their huge commitment to their entire team. In fact when dealing with SGDS it is like dealing with one big family." "I have been working with Stephen Green Dental Studio for the last few years. I have been very happy with the crown and bridge work that I have been getting from the lab. Of course when moving to a new lab, the clinician is always apprehensive about the quality and customer service. But I am very confident with the skills of Stephen and his team in delivering exceptional work." "We have used Stephen Green Dental Studio for several years now and have established a great relationship. Stephen Green Dental Studio have been outstanding in providing us support as we established our dental implant services, their knowledge and guidance over the last few years have been instrumental in our provision of quality implant services. Recently we have entered into the cad-cam world of dentistry and Stephen and his team went the extra mile to help us introduce oral scanning in our practice which, further describes the outlook they have as an innovative dental laboratory. We look forward to continue enhancing our dental services alongside Stephen Green Dental Studio." "I have been using Stephen Green Dental Studio for many years and have seen the changes Stephen and his team have put into advancing the Laboratory side of dentistry into the digital age. From full mouth reconstruction to a single crown Stephen has it covered. I bought my first CEREC machine 6 years ago unfortunately resulting in less work for SGDS. However, a recent implant case was solved completely digitally by Stephen, where we took delivery of an Emax crown and a custom Zirconia abutment with a conventional impression, resulting in beautiful work and a delighted patient." "I have worked with Stephen Green Dental Studio for over 20 years and during this time they have consistently delivered to my practice and our patients a high quality, reliable and affordable service with excellent customer support and aftercare. Stephen and his team have been innovative in the integration of digital technology into our daily clinical practice. The advice and support offered has proven invaluable, enabling our clinicians to continually develop and improve the restorative options available to our patients." "Stephen is a knowledgeable and very well connected lab technician and owner of an innovative dental lab in Nottingham. Due to his expertise and motivation to keep learning, companies look to Stephen and his team to guide them in how to maximise output and reach of their digital technologies. Because of his close working relationship with dental companies, combined with the team’s excellent understanding of digital manufacturing and digital impression systems and processes, Stephen is able to educate other labs in how to integrate their labs into the digital process with minimal cost, whilst also providing dentists with a relaxed environment to discover new digital imprisoning techniques at his new learning facility which Stephen has recently invested in at his new lab . Stephen Green Dental Studio utilises the latest social media platforms on which to educate other technicians and dentists whilst promoting the services they offer. Stephen has a magnetic enthusiasm for shaping the future of British dentistry and ensuring as a profession, the UK keeps up with other parts of Europe and the globe in this fast evolving area of dentistry." 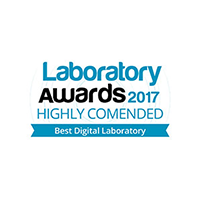 "Stephen Green Dental Laboratory is at the forefront of Digital Dentistry, they are a laboratory that is driven to offer the highest quality of work through the use of the latest technologies CAD CAM can offer. They are a friendly professional team that are always approachable and willing to share their ideas and knowledge with the industry. Their dedication to training and keeping their team constantly updated in this field is a true testament to their determination to achieve and being successful as a team. With the recent move to their new premises, education will be taken to the next level where their clients will benefit from new learning opportunities. 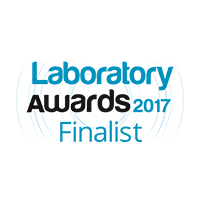 We are proud to be working partners with Stephen Green Dental Laboratory and we look forward to watching them excel in the years to come." "Renishaw has been working with Stephen Green Dental Studio for some time now and his feedback on existing and new products has been invaluable. Stephen and his in-house team has a wealth of knowledge in the technical aspects of dental technology that is impressive, especially for a compact operation. 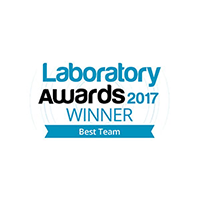 The team is young and innovative and keen to push boundaries whilst keeping a level of realism as to what is beneficial for a commercial laboratory. 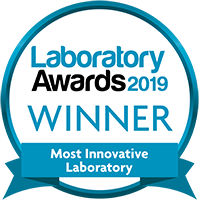 This approach allows the lab to benefit from new and exciting technologies whilst maintaining a high and consistent level of quality for all the work that they do." "There is no doubt that Stephen Green is a proprietor who not only keeps a keen eye on his day to day work, but also has the other one clearly focused on the changing face of the dental industry – in particular the continually evolving world of Digital CAD/CAM Dentistry. Stephen was one of a few lab owners some 10 years ago now, who not only had the considerable foresight and desire to change how his business operated, but also had the drive to actually do something about it. In order to differentiate his business from the majority of laboratories in the UK at the time, Stephen made the leap into Digital CAD/CAM by making a considerable investment in the Sirona inLab CAD/CAM system. With the continued close support of both manufacturer and dealer, through some ups and downs as an early adopter, it soon became clear his decision was the right one. With confidence growing as fast as new software and hardware have been developed, Stephen has continued to re-invest and grow his business further with a very clear focus on utilising CAD/CAM technology to its full potential. With a digital approach to his work, Stephen has also applied a fresh modern approach to promoting and marketing his business via social media and the internet. This proactive approach has had the knock on effect of significantly increasing the overall awareness of the UK market as to the numerous benefits digital dentistry has to offer the dentist, laboratory and most importantly the patient and his/her treatment experience. It has been especially rewarding and inspirational to not only witness the growth of Stephens business as a result of his investment, but in particular his personal dedication to encouraging his growing team. We have seen young apprentices who have blossomed into fully qualified and skilled dental technicians who have a firm grasp of both traditional and digital dentistry today. Stephen and his team are not selfish with the knowledge they have worked hard to gain. On the contrary, they are keen to share this considerable knowledge with others via their newly built on-site training facility. They can be regularly seen at dental exhibitions demonstrating the technology first hand and enthusiastically sharing their experience with those who are tentatively seeking to develop their own businesses and aspire to a level of success which Stephen Green Dental Studio has deservedly attained." "As a supplier of leading edge products to UK dental laboratories for the last 47 years we have a good insight to which technicians and which labs constitute ‘Early Adopters’ of new technology and techniques. Stephen Green is at the top of his game in this regard. Developing new concepts and greater efficiency through adoption of new technology as a Beta tester, and a trainer in dental technology means he and his team are able to implement and be the first in the UK to provide the latest dental innovations." "Stephen Green Dental Studio was one of the first Labs in the UK to adopt the CAD/CAM technology and has continued to invest in the new equipment as it developed. Whenever there has been new product meetings the Stephen Green Studio team were there to look, learn and embrace the latest technology based on good business sense. Their ability to sense the future trends has put them in a very strong position to meet current demands of modern dentistry which is increasingly going digital. The lab atmosphere is always congenial and accommodating which in today’s austere business environment is no mean feat." "Henry Schein UK is finding the importance of communication between the modern dental practice and dental laboratory is paramount in today’s digital marketplace. Developments within CADCAM technology over recent years have made it essential that Henry Schein is a leading player in this field. As the digital workflow now includes the whole dental team one of the critical elements is to insure that the whole Laboratory team embraces this change, a challenge that Henry Schein are keen to meet. To this end Stephen and his team offer support in the sales and training of our digital systems, this can be as courses in their lab or at the Henry Schein training centre in Cardiff. Stephen is a key opinion leader of HS and we welcome his support and knowledge of this innovative disruptive technology in order for us to remain current and updated in the use of these systems. Stephen Green Dental Studio has embraced digital manufacture in every aspect of daily production and also managed to bring the whole team along on this innovative digital journey. The commitment of Stephen Green is such, that not only is digital technology integrated into all aspects of manufacture, but the whole laboratory is fully versatile in all aspects of this work from accepting and creating digital files to creating complex implant retained work using the latest materials and technologies. What is also evident with Stephen Green Dental Studio is that at any educational events and during the busy hustle and bustle of a busy lab the whole team is fully involved. This philosophy is ingrained in every member of the team to insure this overall philosophy is being achieved." "I first met Stephen Green after a recommendation from a colleague, who described a down to earth but dedicated technician who’s work he could not recommend enough. On meeting Stephen some time later, I found a professional who was exciting and compelling when describing his laboratory and the latest techniques and equipment he had at his disposal. Further discussion revealed we both had a common interest in optical impressions and CAD/CAM restorations and the opportunities they presented. I found myself energized at the prospect of working with a like minded, positive and progressive technician. Since that meeting, our relationship has gone from strength to strength. I have often seen Stephen as a mentor as I have progressed with my implant treatments and he has always been a supportive and well-informed colleague as I have developed this skill. In fact, having Stephen to bounce ideas off when it came to restoring my first implants has been like a security blanket and I feel he has been a big part player in the success of these restorations so far. I have always felt like a valued client of Stephen and his team – they are a contactable, friendly, well informed, efficient and well-oiled team who’s service has been the best I have experienced in my working life. All the team seem to have an honest, positive and progressive outlook, and most conversations I have with Stephen and company seem to result in a learning experience for me, whether it be tips about my implant impressions, angled abutments or new CEREC techniques, I am always learning and long may it continue. In summary, Stephen’s progressive attitude towards his own development, that of his lab and his team is inspiring, and I hope we can all work together long into the future." "Thank you, Stephen Green Dental Studio, for your much needed help and advice. We have had a scanner (Ineos X5) in our lab for a couple of years, but up until now we had only used it to scan and design restorations. We have no in-house milling facilities. Yesterday, we received our first digital impressions from a new client, through the Sirona Connect Portal. Easy enough to design the restoration but, when it came to sending the files for printed models the first time, we hit a brick wall! With fantastic help from Nicole, via Team Viewer, we received some printed models and gained some invaluable knowledge. Thanks again, Stephen and team, for your excellent service and support. We look forward to working with you in the future."